SZABO, Andrew Joseph - Peacefully surrounded by family at Joseph Brant Hospital on January 1, 2018. Beloved husband to Betty Szabo for over 60 years. Devoted father to Anne Blackwell (Walter), Beverley Laffey (Brian), Janet Smuck (David) and Michael Szabo (Yvette). 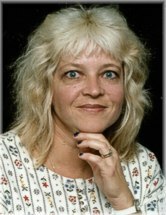 LEPARD, Trudy - Passed away peacefully at Credit Valley Hospital in Mississauga on Monday, January 1st, 2018 in her 64th year. Beloved wife of Murray Lepard. Cherished mother to Ryan (Becky) of Orangeville, Jordan (Christine) of Georgetown, Devan (Stacie) of Rockwood and Lewis (Heather) of Amaranth Township. DONNELLY, Blake Melvin - Peacefully, with his family by his side, on Monday January 1st, 2018 at the Trillium Health Centre, Mississauga. Blake, in his 61styear, beloved husband and soulmate of Wendy for 33 years. Predeceased by his father Mel, mother(s) Joyce Kidder and Violet Burleigh. AUCOIN, Marie Olive - Peacefully on Monday January 1st, 2018 at her home in Georgetown. Marie, in her 85th, year, loving mother of Deanna Marie, Wayne (Mary) and Jocelyn (Thom Gallagher). Devoted Grandma of Alexander, James, Liam, Meghan and Hayden. Predeceased by her parents Ethel and Charles and by her brother Paul. Sadly we announce the passing of Teresa at Joseph Brant Hospital, on January 1, 2018, at the age of 92. 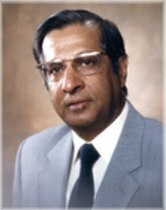 KHOSLA, Sodershan Kumar - Surrounded by family, Sodershan, passed away peacefully on January 1, 2018. Predeceased by his loving wife, Vimla (nee Sethi) (2012). Cherished father of Shalin (Renu), Sanjay (Bindu), Shamit (Lily), and Divya Minocha (Rakesh). 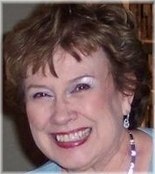 BINKLEY, Krystyna "Krys" (Grodzinski) - On January 1, 2018 at the age of 70, Krystyna Elzbieta Binkley passed away peacefully in the presence of family. Though her life was complicated from spinal cord injury she never complained and was always comforted by her faith, friends and family. 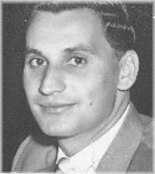 MORITZ, Waldemar "Walter" - Passed away peacefully at Albright Manor on Monday, January 1, 2018 in his 89th year. Predeceased by his beloved wife Gertrude in 1999. Loving father of Edith Penney (the late Wayne (2016)), and Ralph (Christine). 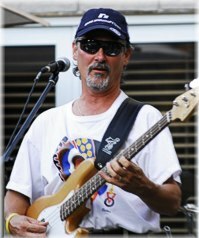 BEINTEMA, Rennie 'Rene' - Following a courageous struggle with ALS and dementia, Rene passed into eternal rest at his home in Grimsby, on Monday, January 1, 2018, in his 60th year. Beloved husband of Joan (nee van Weerden). Loved father of Lauren Hutten (Michael), Diedre Rozema (Eric) and Wendell Beintema. Cherished grandfather of Cullen and Bennett. BRANNING, Karen Lee - It is with great sadness that we announce the peaceful passing of Karen Lee Branning, surrounded by the love of her family on Monday, January 1, 2018 at Credit Valley Hospital at the age of 58. 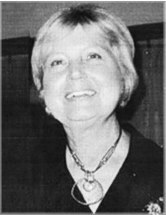 Karen was predeceased by her parents Cecil and Doris Branning and is survived by her four brothers, Wayne (Peggy), Gary, Glen (Edie), Kevin (Julie), and special sisters-in-law Sandra and Sherry. MORDEN, Rosemary Lynne (nee BURKE) - It is with profound sadness that we announce the passing of dear Rosemary (Rose) Lynne Morden on January 1, 2018 at Oakville Trafalgar Memorial Hospital surrounded by her loving family. She was taken far too early from us and will be dearly missed by so many. GOODHALL, Robert Michael 'Bob' - Age 72, died on Sunday the 31st of December, 2017 at Juravinski Hospital in Hamilton. He was treated there since May and finally succumbed to Leukemia. He was born on May 4th, 1945 in York, England, where he loved scouts and involvement in his local parish church where he was a choir boy and server until his late teens. At age 15 he became an apprentice printer, a trade in which he worked until his retirement. In 1974 he and wife Marilyn along with children Claire and Paul immigrated to Canada to embark on a new experience. In 1982, Neil, his third child was born. 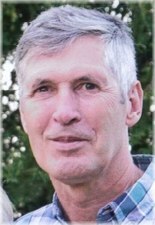 GOODHALL, Robert Michael Goodhall - Age 72, died on Sunday the 31st of December 2017 at Juravinski Hospital in Hamilton. He was treated there since May and finally succumbed to Leukemia. He was born on May 4th, 1945 in York England, where he loved scouts and involvement in his local parish church where he was a choir boy and server until his late teens. 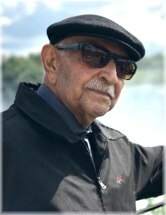 YOUSIF, Jameel Alkass - Passed away peacefully on December 31, 2017 at the age of 90. Beloved husband of Ameera Sahicha. Loving father of Rana her husband Khalid Mirza, Hadil and her husband David Camilleri and Anan. KING, Yolande - Peacefully on Sunday December 31, 2017 with her family by her side at the West Oak Village, Oakville in her 80th year. Yolande, beloved wife of the late Angus. Loving mother of Rob and his wife Tina. KOHN-GOULD, Dr. Gesa - Passed away peacefully with family by her side at The Carpenter Hospice in Burlington on Sunday December 31, 2017, at the age of 61. 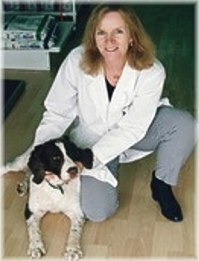 A graduate of OVC 1985, Dr. Kohn-Gould practiced veterinary medicine in Burlington for the past 28 years. Loving and devoted wife of Peter for 39 years. Cherished mother of the Hon. Karina Gould MP (Alberto Gerones), Jonah Gould, Aaron Gould, and Noah Gould. D'SOUZA, Natalie - (January 14, 1964 - December 31, 2017) - Natalie was born in London, England, and emigrated to Canada as a one-year-old with her parents and sister. Natalie was the consummate student. She attended Notre Dame Academy in Waterdown, and graduated from the University of Toronto (French and Spanish). During her third and final undergraduate years, her studies took her to the University of Granada (Spain), during which time she fell in love with the language, culture, (wine) and people. She returned to Canada and completed her Bachelor of Education degree at the University of Quebec in Chicoutimi (French), and later completed her Masters Degree in Spanish Linguistics at the University of California (Santa Barbara). TRANTOM, Joan Mary - At Caressant Care, Woodstock on December 31, 2017. Reunited with her husband John. 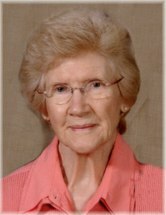 WOOD, Hannah Gertrude - (July 3, 1922 – December 30, 2017) - Peacefully on Saturday, December 30, 2017 at Saugeen Valley Nursing Centre, Mount Forest, in her 96th year. Hannah was predeceased by her husband John (1981). Loving mother of Edward (Donna), Joan Garvey, Linda (Bob) Mairs, Wanda, and Susan (Bill) Wilson. She was the proud grandmother of 18 grandchildren, 21 great-grandchildren and 2 great-great-grandchildren. Hannah and her husband John were the former owners of the Breezes Trailer Park in Acton.